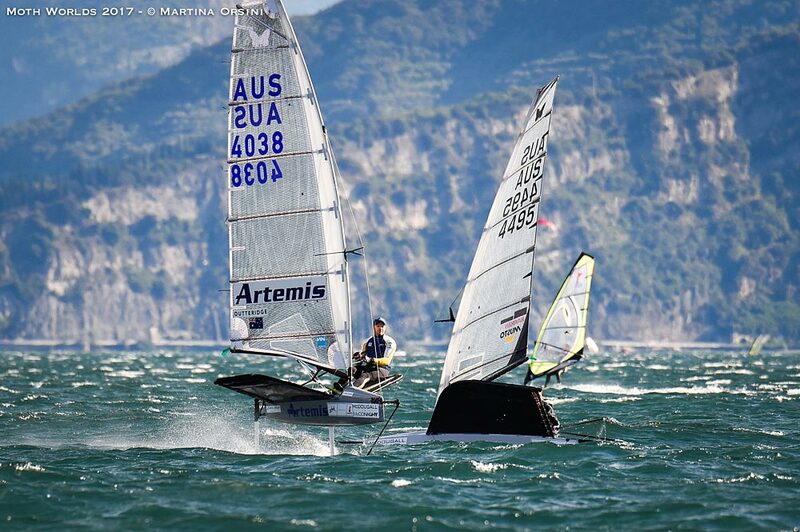 The Blue fleet was sailing the Southernmost course off the picturesque medieval city of Malcesine. However, just the downwind dash to the race course proved too much for many. The Peler was honking a good 20 – 25 knots with some steep waves. After about an hour the PRO got racing started but only about 16 boats got off on time. Some others joined shortly after to complete one lap and get a score on the board. For the second race of the day, race 4 of the event, the breeze did soften into the teens but the conditions were still gnarly and difficult for the club level sailors. The Green fleet set up at the Northern course which is where the lake is at its narrowest with the mountains either side. The breeze was similar here with 20 – 25 knots and with nasty steep waves. A number of mothies reported boat speeds in the early thirties (knots), recorded on their instruments. The Yellow and Red fleets left the shore around 1100hrs, by which time the breeze was beginning to drop down to a more manageable 12 – 15 knots, fading to 10 or less for their second race of the day. The waves had also dropped resulting in much less boat damage and capsizes. The Yellow fleet was the last to start their races, sailing on the Southern course off Malcesine. 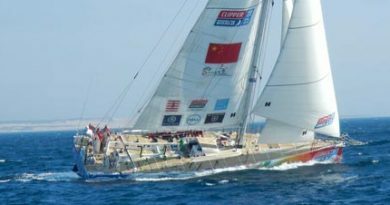 By the time they started the Peler was all but gone and they raced in a much more sedate 10 – 15 knots with flatter water. 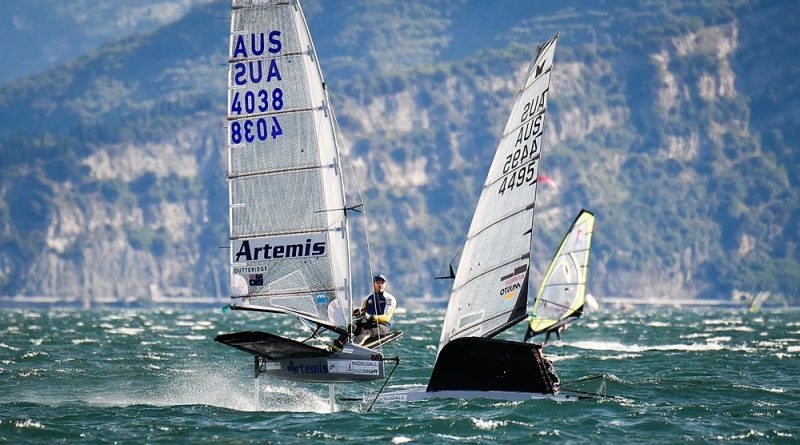 Tom Slingsby (AUS) fired another bullet and a 7th to stay in the lead bunch overall. 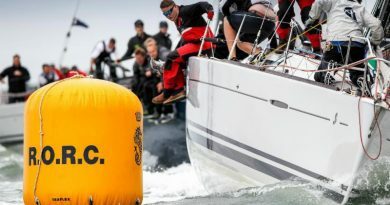 The Yellow fleet was the first to be sent out for the afternoon session in a light 10 – 12 knots from the South and flat water however after a long wait the weather gods again foiled the race committee and racing had to be curtailed for the day.